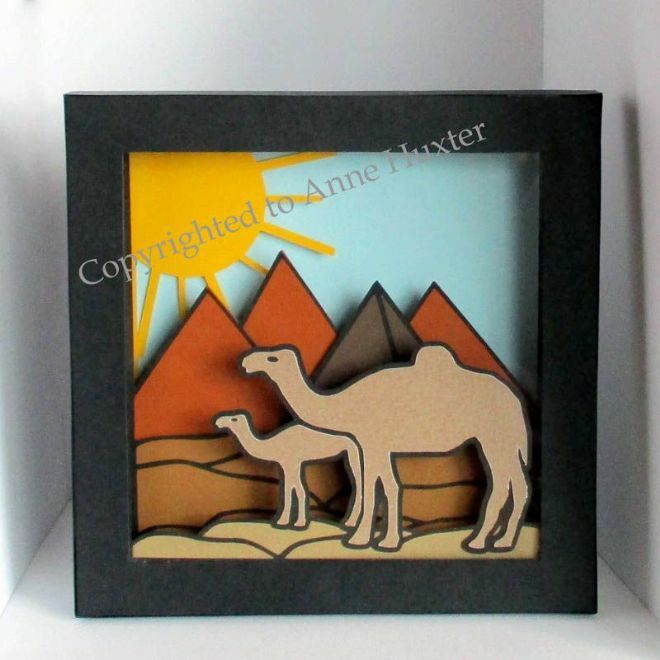 This egypt inspired 3D Picture Box cutting file has the Pyramids, 2 layers of sand, a Mother Camel and a baby Camel with the hot sun beating down from the sky. Another one that's perfect for a child's room or for someone you know who loves camels. Cut in your own chosen colours out of cardstock, layer them up to give a wonderul 3D effect. Each layer has it's own frame making it very easy to put together, with an outer frame to sandwich it all together and to give a very professional finish. Pictures and words instructions included. Overall dimensions are:- 8.5cm square, which is approx., 7 1/4 inches square. 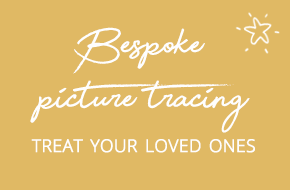 Please choose which format you require, GSD/STUDIO Ready for the Craft Robo & Silhouette Cameo & Portrait digital cutting machines or SVG for use with Cricut Design Space.